Home » Altcoins » OmiseGO (OMG): What is it about and How Does It Work? 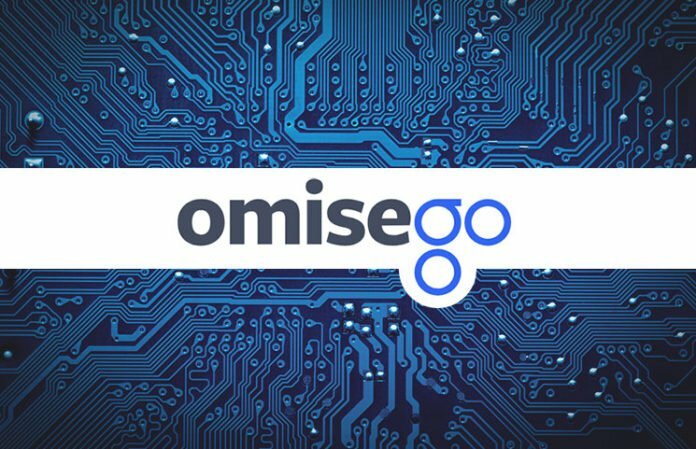 OmiseGO is an extension of the initial Company OMISE. It an Ethereum ERC20 token. OmiseGO is expected to have wallets and all other enabling features that will make it the absolute preference in the market. Since 2013, the company Omise has been in operations and has bases in many parts of the continent especially in Asia and specifically in countries such as Thailand, Japan, and Singapore. From the Omise company comes OmiseGO which now promises to change the financial sector. 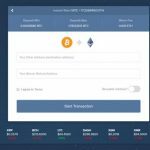 OmiseGO uses a financial technology in the digital wallets. The technology in the mainstream wallets permits a lot of activities such as peer-to-peer exchanges and payments among others. OmiseGo intends to use decentralized currencies in its operations. OmiseGO seeks to have a paradigm shift in the financial sector by occasioning redistribution. It aims to assist and contribute to financial inclusion. A lot of things including disruptions of the operations of the present financial institutions among other detriments are the price to pay in an attempt to achieve the objective of such contribution. Such detriments are likely to be brought about by the intended reduction of cost of transactions including, but not limited to making payments and sending money. The same slash on the cost of the transaction is calculated to make a significant difference not just in the use of fiat currencies but also in the cryptocurrencies. While implementing this anticipated slash, OmiseGo intends to create a platform of smooth and fair competition between and among the currencies thereby enabling the best of them to take the lead as others follow. Promoters of OmiseGo are working day and night to see this idea become a success; the company intends to have OmiseGo tokens also known as OMG tokens in the market in the bid to commence realization of this noble project. OmiseGO depends on Ethereum mainnet for purposes of economic security. Other characteristics are the same as the Bitcoin and Etherium which are not just blockchains that do not require permission but also public and open. OmiseGO is a public network; there is usually no bureaucracy or consent to use it. The network is instrumental in supporting business applications such as enabling interoperability of digital wallets and enabling proper and satisfactory access to the Omise Payment merchants and getaway. Since the network is public and permission-less, anyone can use it in the manner they see fit but not in a manner inconsistent with its terms and conditions of use. The operation of an individual is not restricted and not controlled unfairly or unjustly to the detriment of a user. The users can utilize OMG in the form of security for validation of the PoS network. Validation, however, has some implications which include a reward of correct validation on the validators and imposition of penalty or sanction for every incorrect validation attempt. OmiseGO uses both the wallet and the blockchain. 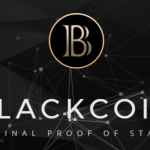 Its operations are calculated to facilitate exchanges as a decentralized level and in a manner that is less costly; while the contemplated exchanges are supported up to very high volume, the transfer is intended to be done at a shockingly low cost and shall operate across most asset types and currencies. The same is open to anyone without having to satisfy any prequalification tests or requirements. The open platform is not just open for people but also for the type of transactions they may want to make. Some of the transactions supported by the OmiseGO network are demand services among other transactions including supply-chain finance, B2B commerce, asset management and trading, payments, payroll deposit and loyalty programs. In both its blockchain and wallet, OmiseGO concentrates on access, stability, and security. Access to the network is unrestricted and requires no specialized consent, approval, formalities or compliance. On scalability, the company intends to have instant settlements and provisions of services at a reduced cost while on security the company offers decentralized currencies and custody of decentralized fiat tokens. The exchange in blockchain is decentralized and uses liquidity provider. As one of its fundamental features, it has a clearinghouse messaging network, efficiently performing systems, scalable block chains and public. The block chains are permission-less. The chain bonds pos consensus also known as Proof-of-Stake. Lastly, the blockchain has an asset-backed gateway. The SDK is enabled to be flexible to respond appropriately and promptly to the needs of the user. The wallet is a white label wallet which enables implementation by various companies across industries. Users of the network in the free platform can trade the decentralized currencies as well as the fiat currencies. The wallet comes with some fundamental benefits in the course of trading or transactions in the platform. One such benefit is facilitated top up over the counter, direct debit, virtual cash card and credit cards and prompt settlement. Companies can utilize the SDK by various beneficial means. Some of the possible uses include payments making, trading, setting up reward or loyalty programs, and making transfers among others. In a nutshell, OmiseGO is a newly introduced revolutionary platform for payment and exchanges. The platform is meant to accommodate high volume exchanges at a subsidized cost, have prompt payments and exchanges thereby disrupting the stringent and unbearable operations of the present financial companies and occasioning financial inclusivity. As a fundamental factor, OmiseGO uses both blockchain and wallet. It is slightly different from Bitcoin an Ethereum due to its attachment to the latter. The features of OmiseGO, however, are capable of making the much-needed paradigm shift. You can’t buy it directly for fiat on any exchange. You can choose the best coin exchange for your region and buy BTC there, then trade it for OMG on exchanges. Read here how you can quickly convert other coins to bitcoin and the other way around.